Not all homes are built to elicit admiring looks from guests and passersby. At Bristol Construction, we always go the extra mile just to ensure that our clients will be more than satisfied with the beauty and stunning quality of every home that we design and build. We do not content ourselves with creating just good-looking homes; we always strive to build great-looking ones. 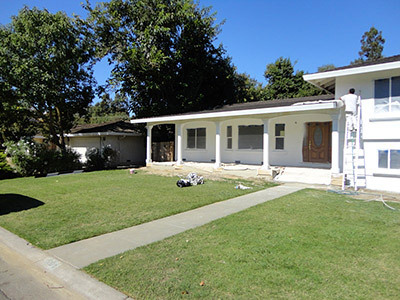 As a custom remodeling and home builder company operating in Sacramento and servicing property owners in nearby areas, we are experienced in every aspect of designing and building a home and renovating properties to make them look better and be more durable. If you have a design and build concern, please feel free to contact us today and we’ll be happy to help you. Our company is fortunate to have experienced designers and builders who specialize in creating stunning residential areas and outdoor living spaces. We are a licensed contractor with in-house custom remodeling and home building specialists so you’re guaranteed that only people with industry certification will work on your property. New home construction. We always love building beautiful homes from the ground up. We love the challenge of working on design plans that our clients must first approve. 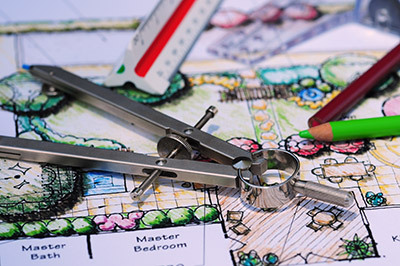 Using appropriate tools and equipment, our skilled builders can work on small to large homes. We use only first class materials from trusted suppliers because we do not want to sacrifice quality over profit. We also want to make sure that our clients won’t experience any safety issues, and we want them to feel utterly comfortable in the homes that we build for them. Home remodeling. If your home already has some irreparable damages due to natural calamities like hurricane or earthquake, or if you just want to give it a new look, then we’re the company to contact. We have been involved in numerous home remodeling projects and we have proofs to show our competence in making old homes look new. We will be more than happy to hear your remodeling ideas and suggest our own for a truly one-of-a-kind home. Outdoor living spaces. Meanwhile, we are also expert in creating various outdoor living spaces such as patios, gazebos, outdoor kitchens, pools, retaining walls, outdoor fireplaces, and the like. We have a dedicated team of workers who have created some of the most stunning outdoor living structures in California, and we can assure you that you’ll have extraordinary structures that your family and guests will appreciate and enjoy. Our company is committed to design and build homes and other concrete structures that clients will find functional, beautiful, and durable. In fact, we are so confident with the quality of our work that we guarantee our projects are free from design flaws and build issues. We also have very competitive rates that allow us to bring our service to the biggest number of California homeowners possible. Whether you have a very limited budget or you have more than enough to finance a full-scale home remodeling job, you’re guaranteed to get the professional services that you need courtesy of our company. Call us today for any of your design and build needs.